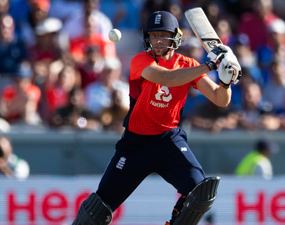 Our vast experience and a large network of suppliers have enabled us to come up with a wonderful range of interesting cricket tour packages for sports enthusiasts in the UK. We have helped many customers in realising their dream holiday as they chase the on-field cricketing action across different formats all over the world. Be it the billion-dollar Indian T20 league, IPL or the Ashes Test in Australia, we can create the perfect cricket travel package for you. Just call us and we will help you turn your idea of dream cricket holidays into reality with one of our tailor-made cricket tour packages. "Follow your team" to some of the most iconic cricket grounds in the World, be it Newlands, Cape Town, Melbourne Cricket Ground (MCG), Eden Gardens, Kolkata or the Galle International Stadium, Sri Lanka, contact ST Sports to plan your next Cricket Tour. The richest league in the world of cricket, Indian Premier League offers an opportunity to unravel the many wonders of the country. Book IPL cricket tour packages and discover the terrific sightseeing opportunities presented to you by this ancient country even as you follow the biggest names in modern cricket such as Virat Kohli, Ben Stokes and AB de Villiers. Bringing the best of fast paced T20 action in an international tournament, ICC World Twenty20 promises you all the thrills and excitement of the game. If you are not an old-school purist and would rather prefer to watch the white ball flying to all corners of the stadium, this one is for you. Book cricket holidays and travel packages with STSports and get to ready to cheer for your favouriteteam in this electrifying competition that's held every four year. Be it the Test or the T20 or the ODI, we have all kinds of cricket travel packages for you, check with our travel consultants to find out about the next upcoming tour of your favourite team and plan a holiday with us. Be it escorted cricket tour packages or a more independently planned cricket holidays, STSports assures you a sports holiday of a lifetime!